Julian Barnes at the British newspaper the Daily Mail offers a piece on Paris terrorist-turned "supergrass," as the British call a rat or a snitch. 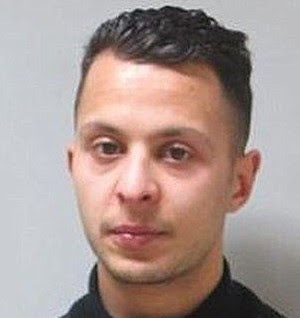 Paris terrorist Salah Abdeslam has agreed to turn supergrass for French police - making the world's most wanted man now the number one ISIS target. The 26-year-old, suspected of being the logistics chief behind the deadly Paris terror attacks in November, was captured earlier this month during a raid in Brussels. Abdeslam has not spoken to investigators since the Belgian capital was hit by suicide bombs at the airport and a metro station last week. But this morning it emerged that Abdeslam now wants to 'cooperate' with French authorities. The terror suspect had previously told interrogators he had intended to blow himself up at the Stade de France stadium in Paris but had backed out at the last minute.